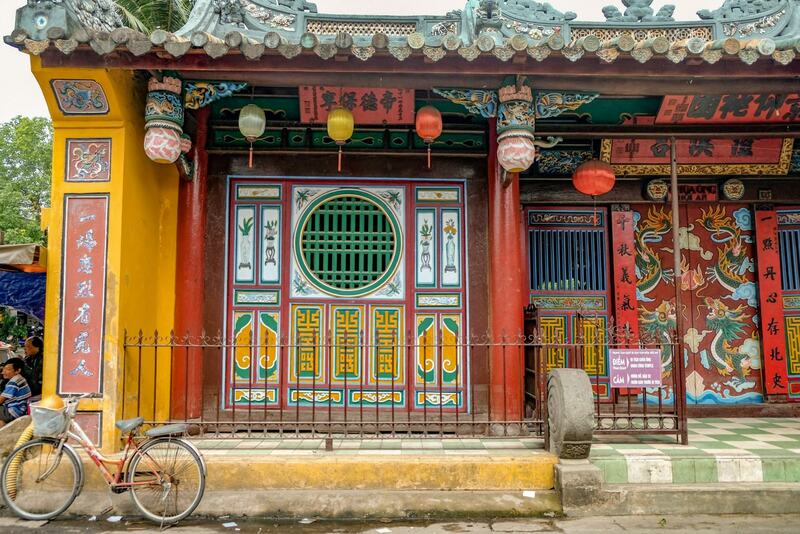 Boasting over 3 million visitors per year, Ho Chi Minh City sometimes gets mixed reviews from visitors. 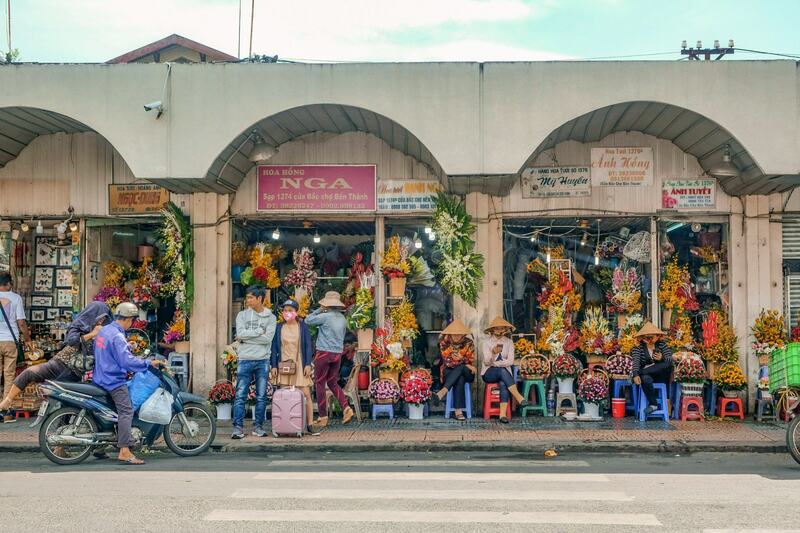 While some simply use it as a gateway to explore other parts of Vietnam, others are completely obsessed with the city’s unique vibe and the locals traditional way of life. If you’re heading to Vietnam for your first visit, here’s a complete guide for all the essentials you need to know before you go. 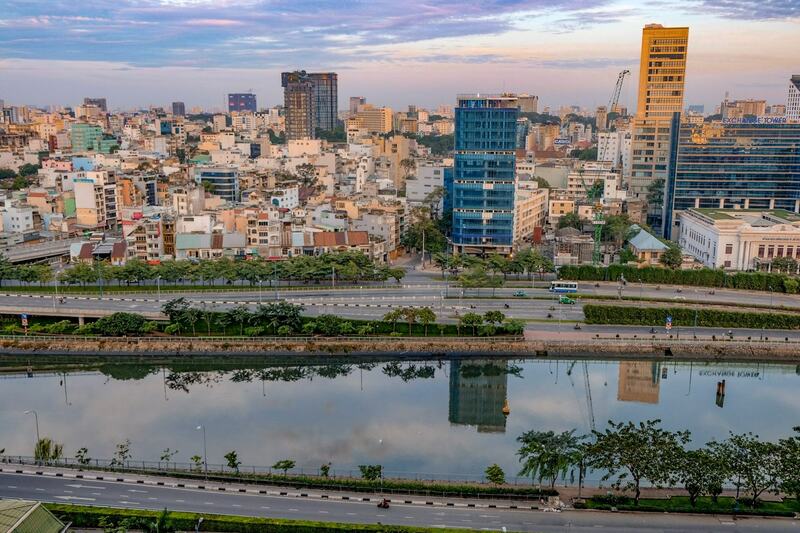 Located in the south of Vietnam, Ho Chi Minh City is in the Indochina Time Zone (GMT +07:00). Ho Chi Minh Airport, also known as Tan Son Nhat International Airport (SGN) is the largest airport in Vietnam, and the main international airport, servicing hundreds of flights each day. 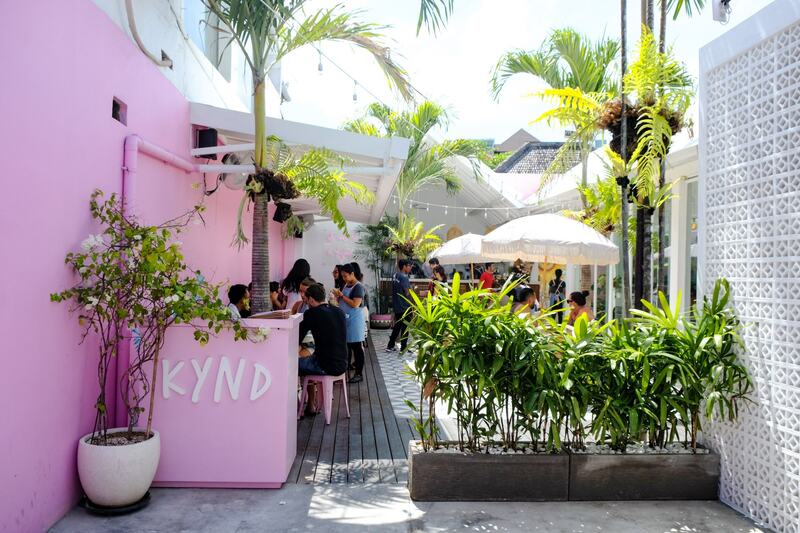 It’s located about 8km away from the centre of Ho Chi Minh City (District 1). To get from Ho Chi Minh Airport to the city centre will generally cost about 100,000 – 150,000 VND by taxi, or 12,000 – 20,000 VND if you take the bus. Taxis are extremely easy and efficient, and due to the level of traffic around the city, it’s always nice to be heading straight to your own hotel, without dropping off heaps of other people first. 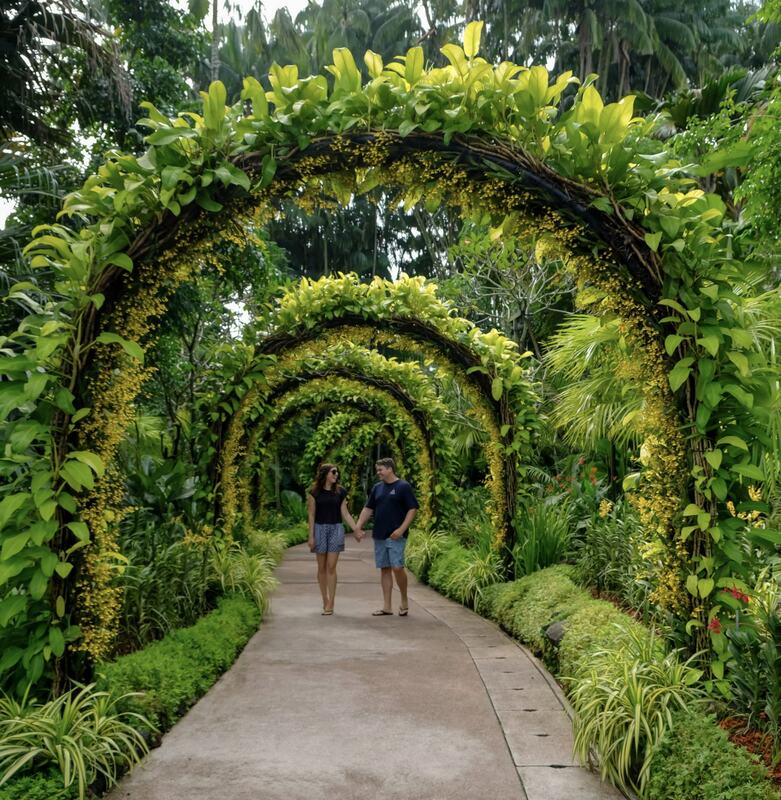 Find the cheapest flights to Vietnam for your dates. ATMs are accessible around the city, however some smaller shops and markets will not accept credit card. It’s always a good idea to carry cash on you for emergencies, or in the case that credit cards are not accepted. One Australian dollar converts to approximately 16,715 Vietnamese Dong in September 2018. 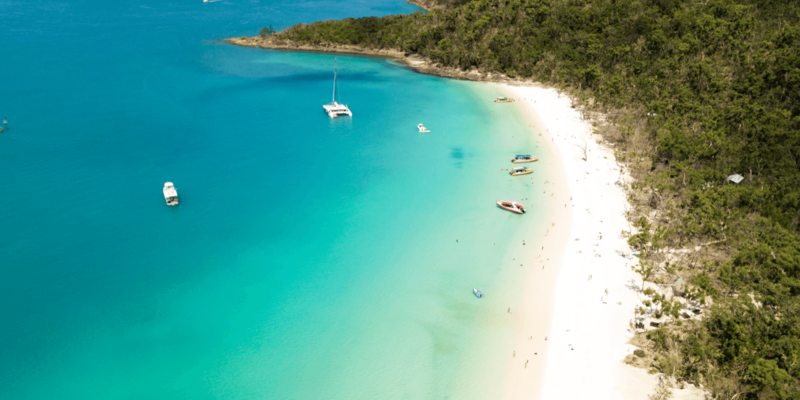 If you’re travelling to Vietnam on an Australian passport you need a Visa to enter the country. A tourist visa allows entry to Vietnam for up to 30 days. You can either apply for the visa online or by mail. To apply online visit the Vietnamese Embassy website where you can fill in the online form, upload a photo of yourself and your passport and then transfer your money. You will then receive a loose visa that you need to take with you. We applied for our visa by mail. You just need to fill in this form and send it to the Vietnamese embassy along with your passport, a photo, the fee in cash (they also accept money orders and cheques) and an envelope for them to return your passport. Send your passport and application to: The Embassy of Vietnam – PO Box 98, Mawson, ACT 2607. It’s a good idea to send your passport and visa application with a tracked mail service, and include a tracked envelope for the way home so that you can always see where your passport is. Don’t forget to pre-address your return envelope as well so it gets back to you! The whole process took less than a week, and our passport came back with a shiny new visa. You can also apply in person by visiting the Vietnamese Embassy in Canberra. The address is 6 Timbarra Crescent, O’Malley ACT 2606. 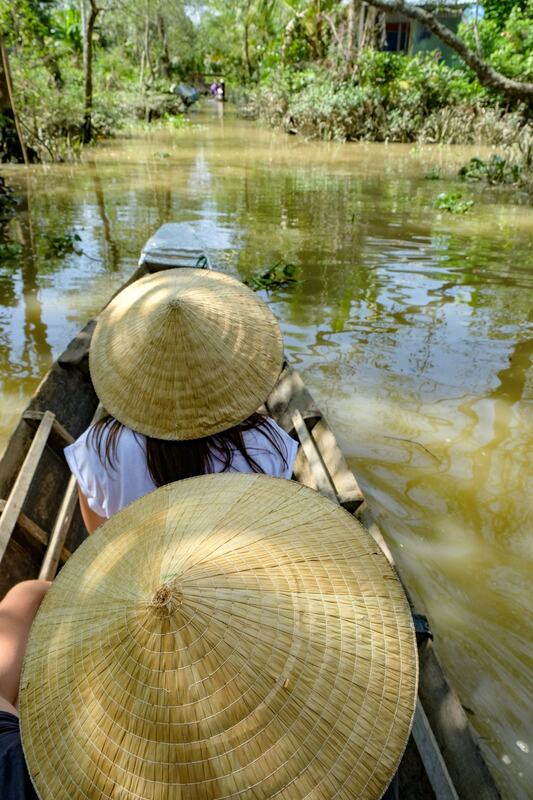 You can find out more about visas for Vietnam here. There are lots of different reports online about Vietnamese visas on arrival, with some being accepted while others are rejected, and people being banned from boarding their flights. To be safe, the best idea is to always organise your visa in advance – it ensures a smooth immigration process when you arrive in Vietnam and there’s no chance your visa will be rejected or refused. Depending on where you visit in Vietnam, the climates differ quite a bit. In Ho Chi Minh City, the temperature doesn’t change much throughout the year, sitting between 27°C and 31°C most days. There is however a wet season between May and November and a dry season between December and April. April is the hottest month of the year in Ho Chi Minh, with December is the coldest and July is the wettest. Many locals working in tourist facing jobs will be able to speak a little English, especially if you’re visiting the markets or shopping hot spots. However, outside of the tourism and hospitality industry it can be a little more difficult to find people who can understand English. There is a huge scam with taxi drivers in Ho Chi Minh City, who try and charge you almost ten times the amount the ride actually costs. Although the taxis around the city are metered, the drivers will try and confuse you with the inflated currency. We took a ride that was 30,000VND and the driver was trying to rip us off and charge us 300,000VND. To avoid uncomfortable or potentially scary situations, it’s always a good idea to ask how much your ride is going to cost and negotiate the price before you get into the taxi. That way, if the driver seems to be trying to rip you off or asking too much you just don’t get in the car. The other option, is to use an app like Uber. After that taxi driver ripped us off (my mum accidentally handed him the money because she was confused, and he kicked us out and drove off) we started using Uber to avoid these situations. 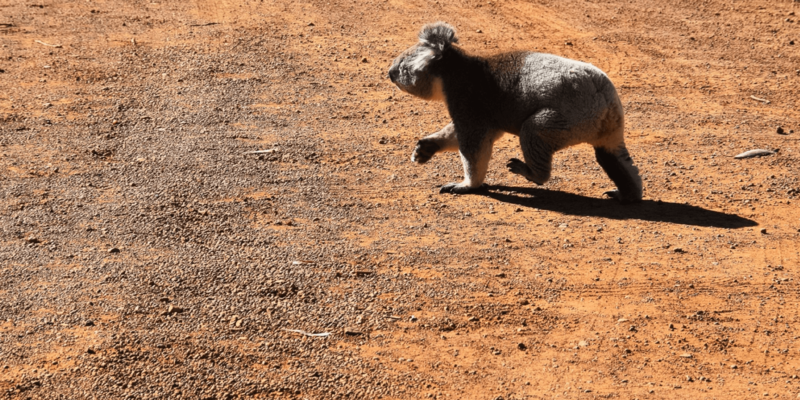 Rides with Uber were super cheap – often less than $1 AUD to get across the city. Internet access is quite easy around the city, with free wifi available in many hotels, cafes, restaurants and tourist attractions. Passwords will be provided on request in many eating establishments and you can often even find some free wifi when you’re walking around the streets. 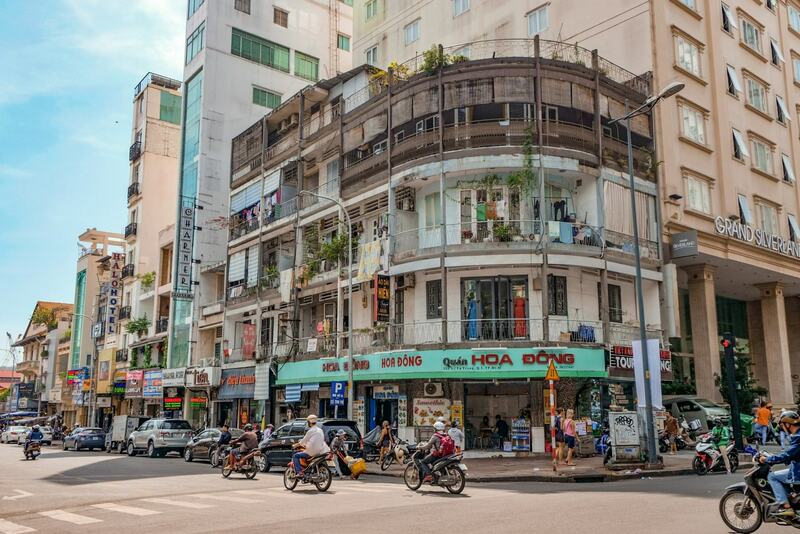 The streets surrounding the Ben Thanh Market are probably the main streets in Vietnam. Here you can find lots of shopping and dining options, including outdoor and night markets, food bazaars, restaurants, cafes and bars. 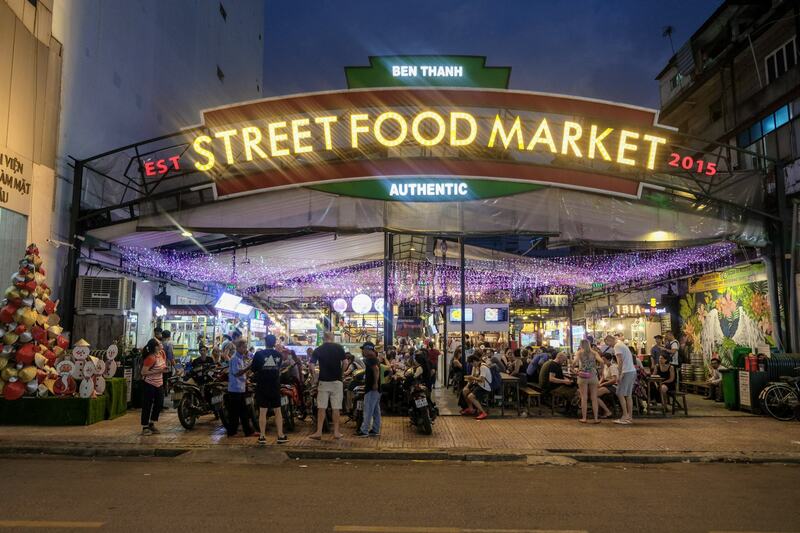 Nguyễn Huệ Street is also a popular spot for great food, shopping and many hotels. When you’re trying to decide where to stay, Districts 1 is the main part of the city centre, and ultimately you want to be as close to district 1 as possible. 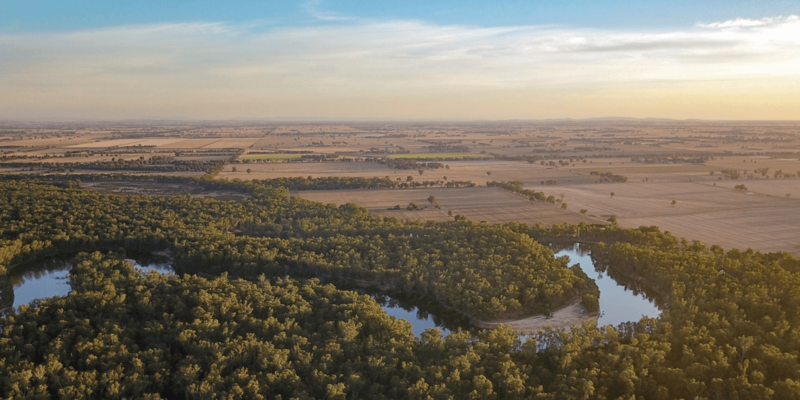 Just across the river, district 2 is also within easy walking distance of the city but can be a great option for accommodation that’s a little cheaper. 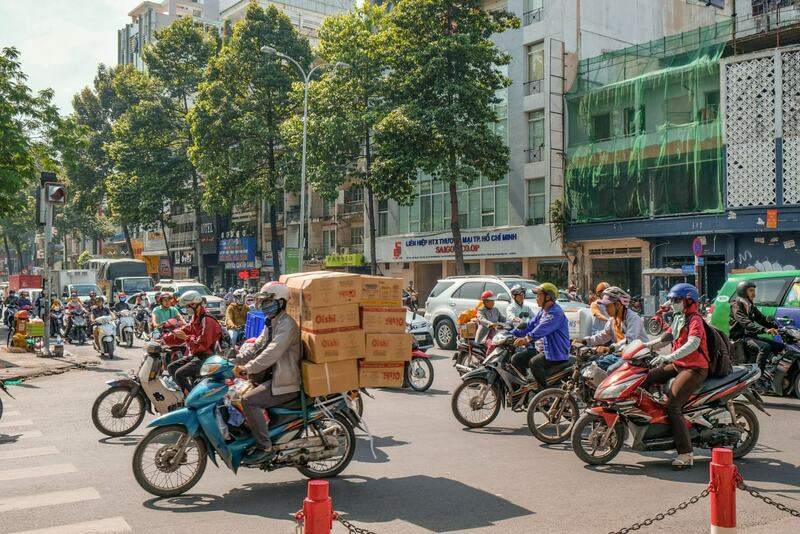 The best time to visit Ho Chi Minh City is during the dry seasons from November to April. Days and drier, a little cooler and generally less humid during this time. 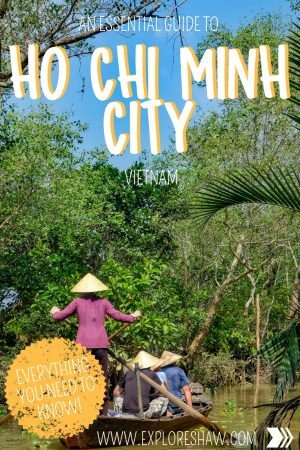 You may have heard people refer to Ho Chi Minh City as Saigon and be wondering if this is the same place, or what is going on? I mean, the airport is named Saigon, but then signs around the airport welcome you to Ho Chi Minh City, it’s easy to understand why there’s confusion. Originally named Saigon, the city’s name was changed to Ho Chi Minh City in 1975 (not even that long ago!) after the Vietnam War, imposed on the south after the North of Vietnam won the war. These days though, there is no political statement or alternate meaning attached to using either name, it’s simply two different ways to refer to one city.